Beckenham Subdivision Tour Fort Mill, SC from Arbie Turner Homes on Vimeo. Beckenham Fort Mill Homes for Sale. The Arbie Turner Homes team would like to welcome you to a tour of Beckenham subdivision. Beckenham is an upscale neighborhood located on Doby’s Bridge Rd. 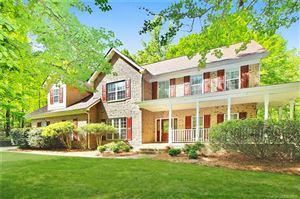 In Fort Mill, SC with easy and quick access to HWY 521 and the Ballantyne area of Pineville, NC..
Beckenham Fort Mill Homes for Sale is well removed from the traffic and activity that exists in other parts of Fort Mill. Beckenham is a relatively young neighborhood with lots still available to build on. Lots are large averaging well over 1 acre. In addition to providing the opportunity to build, there are also a number of resale homes on the market now listed between $445,000 and $749,000. Beckenham lots are well landscaped with lots of mature trees and provide much sought after privacy. The homes in Beckenham range between 3,500 square feet to over 6,000 square feet. 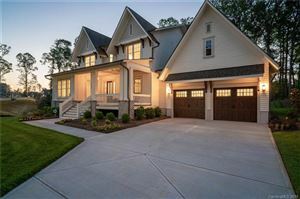 Most have 4-5 bedrooms, 31/2 to 41/2 baths, 3-car garages, gourmet kitchens with top of the line appliances and granite countertops, 2-story great rooms, and luxurious master suites. Many homes also have in-ground pools. Homes are on septic tank and well water. Only a few miles from HWY 521 in Indian Land which is boasting with new growth. Local dining, shopping, and all genres of business are abundant in the area. If you are looking for a private upscale neighborhood with large homes, beautifully landscaped lots, and great access to shopping dining, and business then please call us to check out Beckenham in person. For more information on Beckenham Fort Mill Homes for Sale and many others located in the Fort Mill area please visit arbiehomes.com. We would love to have the opportunity to serve your needs.